Our casting equipment have mutiterm design patent, we can provide hi pressure Casting line, medium pressure casting line and lower pressure casting line according to customer's investment and request. Hi pressure casting production line for tank, Automatically demould and carrying. with PLC and screean control systm. plastic mould. 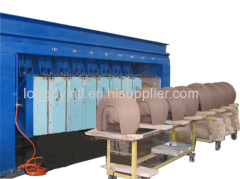 Hi pressure casting production line for wash basin, Automatically demould and carrying. with PLC and screean control systm. plastic mould. 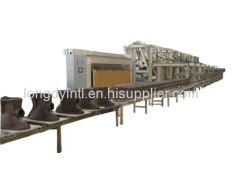 Hi pressure casting production line for water closet, Automatic casting, demould and carrying. with PLC and screean control systm. plastic mould. Automatic casting production line, PLC and touch screen control. Group of Casting line has been presented above, want more	Casting line and Casting machine, Please Contact Us.